Liverpool defender Jamie Carragher announced on Thursday that after 16 seasons and more than 700 appearances with his hometown club, he will retire. “I’m making this announcement now because I don’t want the manager or the club to be answering questions on my future when I’ve already decided what I am going to do,” Carragher said in a statement. “I will be fully committed between now and the end of the season to doing the very best for Liverpool, as I have done my entire career since joining aged just nine years old. “It has been a privilege and an honour to represent this great club for as long as I have and I am immensely proud to have done so and thankful for all the support I have had. There are many memories I want to share and people to thank, but now is not the time for that. “Everyone is different,'” he said in a 2011 interview. “When (results) go bad, it really affects me. But I don’t suppose I’d have had the career I’ve had if I hadn’t been like that. There are players with better technical ability than me and I’m not the biggest or the quickest. 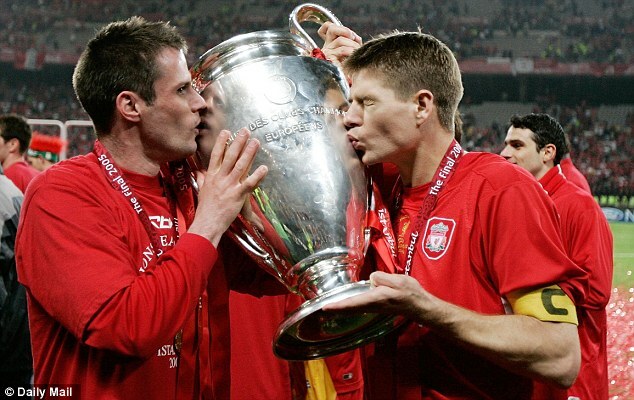 Carragher has done almost everything in his career, from lifting the Champions League trophy to starting for the English national team. The only title that eluded his grasp was the Premier League crown. While Rodgers has been transitioning Carragher out of the lineup – he has started just four Premier League games this year – it will still be strange to watch a game next season and not see his No. 23 on the pitch.